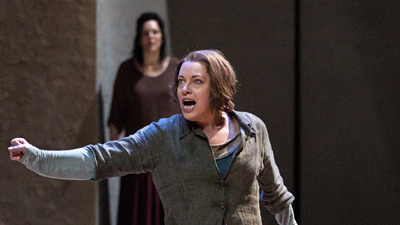 The legendary Astrid Varnay gives a spectacular performance in the title role of Strauss’s one-act masterpiece. Obsessed with avenging the murder of her father, Elektra is blind to the longings of her sister, Chrysothemis (Walburga Wegner), for a peaceful life. 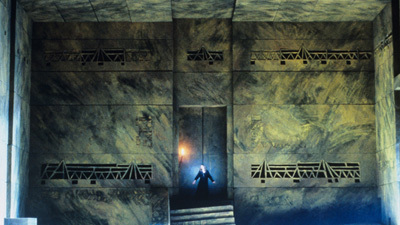 She taunts her mother, Klytämnestra (Elisabeth Höngen), with the gruesome fantasy of a bloody death at Elektra’s hands. But Varnay’s nuanced portrayal of Elektra’s tortured soul is at its most gripping in the tender moments of reunion with her brother Orest (Paul Schöffler). The great Fritz Reiner conducts a rich, dramatic performance.